Are you curious about New York City's Diamond District? Learn more here! New York City's Diamond District, also known as Diamond and Jewelry Way, is located on 47th Street between 5th and 6th Avenues. The United States is the largest consumer market for diamonds, and over 90% of the diamonds that enter the United States come through New York, many of them through dealers in the Diamond District. 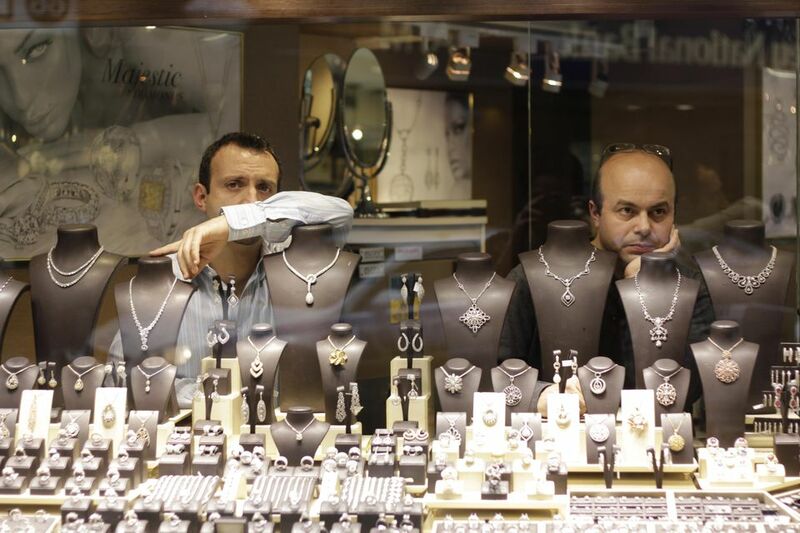 It's hard to believe, but the area is home to over 2600 diamond businesses, many of which are located inside of the street's 25 jewelry exchanges. Each exchange is home to about 100 different merchants, each independently owned and operated, but there are also larger stores along 47th Street for shopping as well. In the Diamond District, you can find just about any type of fine jewelry you desire, which makes it a great place to shop, and prices can be as much as 50% off of retail. The shops cater to both wholesale and retail clients, but you'll have the best success shopping if you've done your research and know what you're looking for. Spend some time learning about diamonds before you go shopping to be sure you are an informed consumer and are able to understand the terminology that the sellers will use. The 47th Street Business Improvement District's website also has helpful information for educating yourself about diamonds, jewelry and precious stones. This is also a great area to sell gold and jewelry, get broken jewelry repaired or have custom work done. With so many vendors located in such close proximity, you have the advantage of competitive pricing, and the ease of comparison shopping. The area is also very safe (although you should always be aware of your surroundings) because of the number of merchants and their desire for additional security and police presence. Avoid being drawn into stores by "hawkers" who earn a commission by enticing buyers in off the street. New York's first diamond and jewelry district was actually located on Maiden Lane, beginning around 1840. Today, the Diamond Dealers Club, the largest diamond trade organization in the U.S., is headquartered on 47th and Fifth Avenue. Originally located on Nassau Street, membership grew after World War II as many diamond dealers immigrated from Europe, necessitating a larger location, and thus its move uptown to 47th Street from its original downtown location. The move established 47th Street as New York's Diamond District, where businesses handle everything from the importation of rough diamonds to production and sale of fine diamond jewelry.